Getting out into the community is one of the best ways to connect with the public, deliver your “why,” and remind people how important hearing is to their quality life. It can be intimidating though—leaving your office, patients, and staff behind to go out into the community and solicit new patients. But I can tell you from experience, once you complete your first community event and you sell your first set of hearing aids from it, you’ll be eager for the next one. Now, I’m sure you have lots of questions. I led numerous events as the marketing director of a private practice and I, too, had similar questions. How do you plan an entire event that people will actually want to attend? How do you convey your message when people walk up to your table and all they really want is the free candy or to win the raffle prize? How do you build trust with new patients? So, let’s break down the process and make it easier for you to launch your first event. 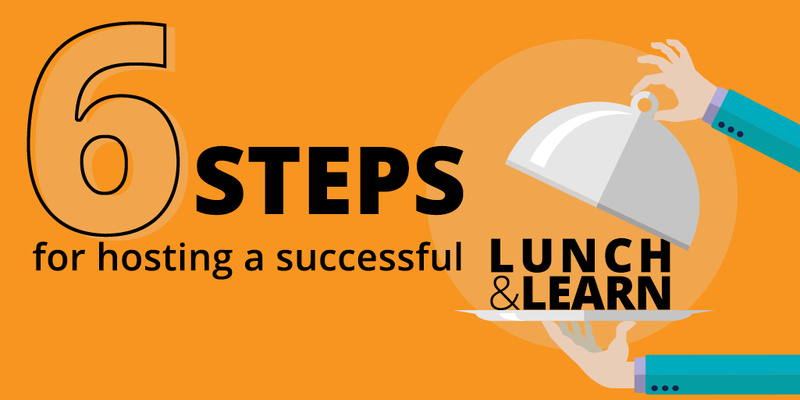 A Lunch & Learn, also known as a Lunch & Listen, is exactly what it sounds like: you advertise and invite potential patients to join you for an hour or so, impart your wisdom, provide lunch, and voilà! Step 1: Determine the when and where. Choose a date approximately six weeks out—you’ll need all that time to prepare. Find a place that’s quiet or has a private space, like a restaurant or a clubhouse. Fun tip: most of the time, a “senior” lunch menu is less expensive, but some practices like to go all out and will book a local steakhouse. You should do what makes the most sense for your vision and budget. Step 2: Create your guest list. Anywhere between 10-20 is the ideal number of guests. Pulling patients from your existing database that are out of warranty or tested devices and never purchased is the best place to start. Second, target new patients through direct mail, print ads or digital marketing. Talk to a Consult YHN Account Manager for more details. And, be sure to include your website and your social media profiles on your invitation. Step 3: Identify your goal and craft your message. You want to keep your message short and to the point. If you’re able to confidently talk to an audience with only a list of bullet points, go for it. It’s more natural and creates a better overall experience for the audience. If not, use a PowerPoint presentation to help frame your message and guide your recital. Create your own or ask your Account Manager to send you one of Consult YHN’s sample PPT presentations. Either way, you should consider supporting your message with media or pictures, like showing a video that showcases people getting fitted for hearing aids and their reflections on how life is better with these devices. Remember: you want to tell a story. Illustrate how hearing aids improve a person’s quality of life. It’s much more compelling than just listing off a bunch of facts and statistics. Step 4: Invite your guests. 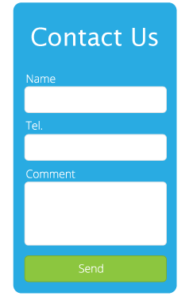 Once your mailer or invitation goes out, work with Your Patient Contact Center (YPCC) to personally invite guests. YPCC’s highly-trained patient communication representatives will call your database and encourage them to attend: “We sent you a personal invitation for an informative Lunch & Learn event we’re hosting, and we’d love to add your name to the guest list before it fills up … you’re free on Thursday at noon to join us, right?” A personal call goes a long way and can build up your RSVP list. Practice giveaways are always a hit, plus you want your name and number on everything you hand out so that it goes home with your guests. Hearing health articles for attendees to read while they wait for the seminar to begin and to take home. Consult’s MarketSource has several informative handouts about the correlation between hearing loss and other diseases such as dementia/Alzheimer’s, a topic that many seniors don’t know much about. These should also have your practice’s information on them. Appointment sheets for the next 2 weeks. Don’t take an iPad or laptop—you only have a short window of time with guests and you don’t want to waste it inputting their information into your laptop. Manually schedule appointments and enter patients’ information into your practice management software once you are back in the office. A sign-in sheet. If someone RSVP’d but did not attend, call them the next day and invite them in for a personal hearing consultation—they are still a potential patient. A survey so you can track your results and make sure that what you’re doing is effective. A screen and projector if you are going to use a PowerPoint presentation or show a video and your venue doesn’t have one. Step 6: Track your appointments. When is his/her appointment scheduled? What happened during the appointment? Hearing aid sale? For how much? Did they miss the appointment and a call needs to be made to get them back on the schedule? Tracking can seem tedious, but if you make it apart of your daily routine, it will become second nature and once you see the benefits of tracking your results, you’ll appreciate the effort. Becoming a staple in your community and sharing your knowledge on how to improve people’s quality of life can be rewarding if you dot all the I’s and cross all the T’s beforehand. And if you still have any questions about planning a Lunch & Learn or other community event, you can always reach out to your Consult YHN Account Manager for guidance. Julie Gesuale joined Consult YHN in 2010 and currently serves as an Assistant Account Manager in the company’s Hospital and University Division. 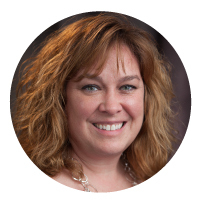 Her diverse professional background includes customer service, marketing, and project management. When not working, Julie enjoys spending time with her wife of 15 years and her two rescue dogs, Sheldon and Leonard. She’s also been singing in church and community choirs for over 25 years.